A History in Pictures of PTL, Heritage USA, and the PTL Family. Collectors' Edition - makes a great coffee table book! A History in Pictures of PTL, Heritage USA, and the PTL Family. AUTOGRAPHED FIRST EDITION: I Will Survive… and You Will Too! Tammy Faye's inspirational story of how she has survived the trials and tribulations in her life. NOTE: Autographed by Tammy Faye. An 8x10 color photograph of Tammy Faye, personally autographed to you! Includes an 8x10 photograph, plus two newsletters per year. This is the ONLY recording of the memorial celebration held for Tammy Faye in Atlanta, GA in October 2007. It includes special footage of Tammy along with her family and other guest speakers. Every purchase includes a BONUS DVD with never before seen pictures and video of Tammy Faye! 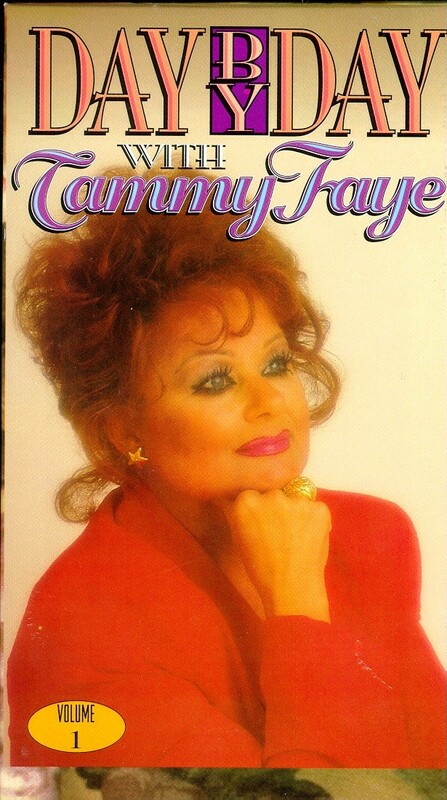 Your own VHS copy of the documentary movie The Eyes of Tammy Faye. *Shipping & Handling prices are domestic only. S&H for foreign shipments must be quoted. Please understand that we are experiencing an unusually large number of orders at the present time. Please allow 2 to 4 weeks for delivery. If you have not received your order in 4 weeks, please let us know. click here for an order form that you can print out and mail with a check.